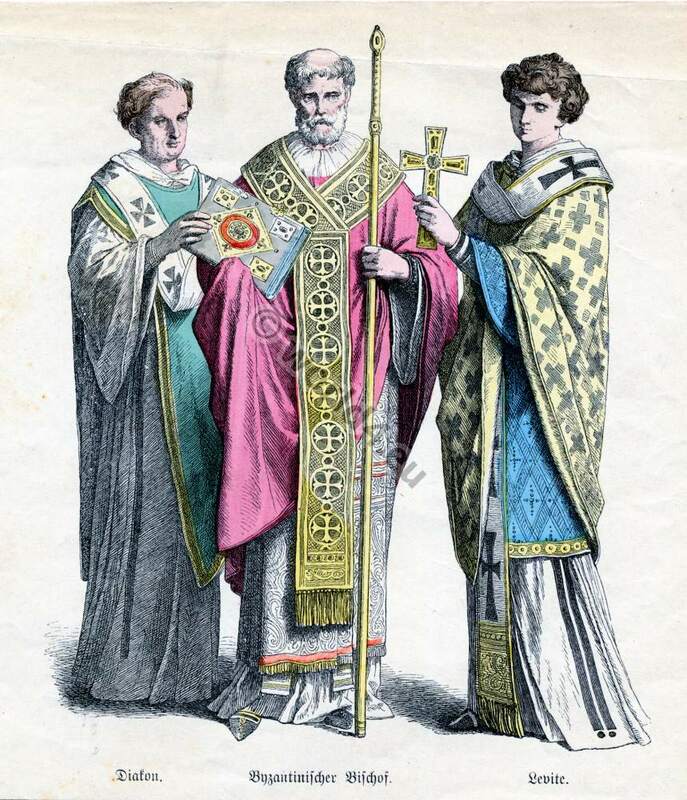 Home » Byzantium Bishop, Deacon and Levite costumes. Byzantine deacon, bishop, levite liturgical garment. This entry was posted in 10th Century, Byzantine, Court dress, Ecclesiastical, Middle Ages and tagged Byzantine fashion era, Ecclesiastical Dress, Medieval costume, Monastic clothing on 4/16/13 by world4.